Residential and commercial contractor specializing in exterior construction related to siding, roofing, windows, doors, decks, remodeling, and new construction applications. We have a strong focus on composite siding materials such as James Hardie Fiber Cement and LP SmartSide. We aim for excellent customer service on each and every job that we take on. We are known for paying great attention to detail and having a very transparent communication cannel with our clients. The goal is to make a house into a home to the expectation that the homeowner has created. Our projects are seamless, stress-free, and handled with great care. We would love to speak with you about your project today. 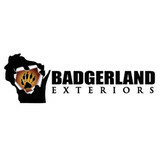 Badgerland Exteriors knows that handling issues with your roof, siding, gutters and windows can seem difficult, but we have the skills and experience necessary to solve these problems, easily. In business since 2009 with a long family legacy in the area, we have cultivated a positive reputation based on roofing expertise and exceptional customer service. We work with a wide variety of roofing materials to give you an ideal new, replacement, or repaired roof. We also provide siding, window, and gutter services to completely protect your home’s exterior. Our customers’ satisfaction is what keeps us in business. We price our products and services fairly and work hard to make sure that our customers get exactly what they ordered. All of our staff is experienced in numerous different construction trades. We will match you up with a sales representative who is familiar with the needs that you may have. If you have storm damage, don't worry - we can help you through the whole process. We are your best choice for any home exterior needs! Homes with Stucco and Stone Exteriors are quickly becoming the hottest sellers on the high end realty market. Endless color selections, a vast selection of architectural enhancements, and a wide variety of textures make todays EIFS (Synthetic Stucco) systems a popular choice. We are exterior renovation contractors in the Greater Rockford, Illinois and Beloit, Wisconsin Area. We provide Complete Siding, Windows, Roofing, Gutters and Doors Services at affordable prices. Select from our many brands, styles, and colors we have to offer. For 50 years K&H Exteriors have been transforming neighborhood homes with pride. Romero exteriors do quality work and we are trustworthy people, punctuality and hard work identified us. What types of siding services do Middleton exterior contractors provide? Wood siding needs more maintenance than less-expensive, low-maintenance vinyl siding, but with proper care it will outlast vinyl siding, which can fade and crack over time. Your Middleton, WI contractor might also suggest fiber cement siding, which is fire resistant and termite-proof and can come with a warranty of up to 50 years. Find siding and exterior contractors in Middleton, WI on Houzz. 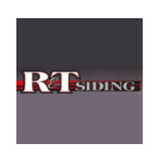 Narrow your search in the Professionals section to Middleton, WI siding and exterior contractors. 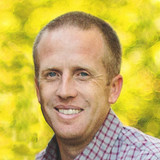 Find out how long a Middleton, WI exterior remodeling contractor has been in business, view portfolios, read reviews and get contact information.